Secretbees Studio: Thanks for the memories! Hello! Today's post is bittersweet because this is my last challenge as a Raisin Boat Designer! It has been such a wonderful experience so it is only fitting that our last challenge be a Thank You. I would like to dedicate my Thank You to the wonderful owners of Raisin Boat, Bobbi and Kim. 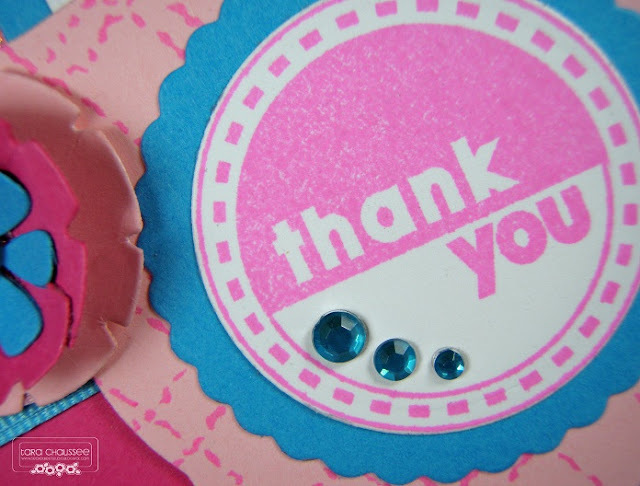 I have created my Thank You card in happy shades of Think Pink, Sweet Cheeks and Pool Party Boathouse Collection card stock with lots of interesting layers. As usual, I pulled out many of my favorite Raisin Boat stamp sets to create this cutie! I embossed some sparkly Polka Dots as the background and then added in layers of Riverwalk Floral and Need for Tweed. 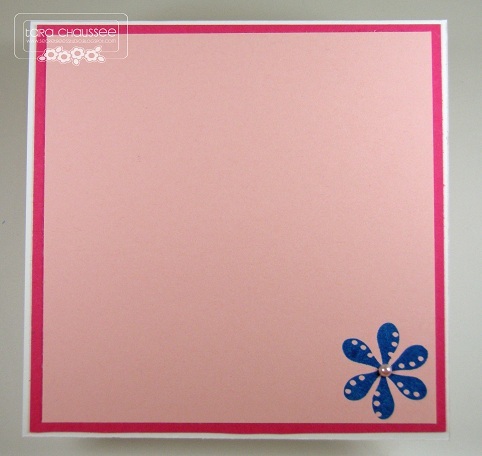 The simple Thank You sentiment is from the Talking in Circles stamp set. The layers and flower were cut with MFT Dienamics and Papertrey Ink dies and I then added more cheery Raisin Boat ribbon in coordinating colors along with some gemstones and a pearl. This shot shows the fabulous dimension of the Polka Dot background. I kept the inside clean and simple so I have lots of room to write all of the nice things I want to say. I have had a great time designing for Raisin Boat. Their images are so creative and fun and their store is stocked full of gorgeous cardstock, ribbon, gems and so much more. Thank You Bobbi and Kim and also to the rest of the designers for making this design team experience so enjoyable! For the challenge... you can use any stamp set you have (you don't have to limit your entry to Raisin Boat stamps). That's right, use any stamp set you wish for this Thank You challenge, but if you use a Raisin Boat stamp set, it will count as two entries. That gives you twice the chance to win a stamp set of your choice! What a pretty pink/blue combo! Turned out gorgeous! Love it!